With the recent change by Photobucket to dis-allow free 3rd party linking of hosted images, many of the links to images posted to the 986Forum over many years are now broken. Many of us are moving our images to new hosting sites (or self-hosting) with the goal of keeping our images available to members of the 986Forum. However, the ability to edit old posts is no longer available. Can Pelican Parts please re-enable the editing of old posts so we can update the image links to restore the photos? I would like to think that I speak for everyone and want to say that we all appreciate your continued support of our passion for the Porsche 986! If those old images are now unavailable that's a sad day for this forum, as I don't know how many old threads with pics I use to work on my car. Is there any way to restore what was there in the first place, rather than having to rely on previous posters (many no longer involved or without the passion that Tom has)?? Even if editing old posts was only reenabled for a few weeks, I think that would be helpful to repair old threads. It is horrible what Photobucket has done, with no prior warning and asking an exorbitant amount. I would suggest imgur to anyone looking for a free alternative. I have found Pelican and Luccia to be very responsive to direct messages in the past, and if anyone is missing any old threads, I have a habit of saving 986-related websites and interesting threads (mostly DIY's) as PDF's. If you are looking at a thread that no longer has any images, let me know and I will see if I have a copy. You can also check archive.org, to see if they have saved a copy of any threads. I have posted so many pics from Photobucket over the years, I don't even think I'd want to try to re upload them. A shame what PB is doing without even any warning. 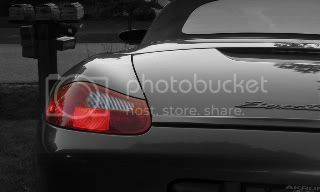 Got my Boxster in 2006 and shortly thereafter began searching up DIYs and, as I started doing some fixes myself, began posting some DIY threads of my own to fill in gaps that I saw in earlier posts, and to share my own experiences as a 'newbie' to Boxster DIY efforts. These included many dozens of photos loaded from photobucket. Unfortunately, I can't see me taking the time to go back and re-load the photos that are being lost due to PB's sleazy recent move..
A little on a tangent, but I just signed up on both Flickr and Imgur (mobile app), but for the life of me stilll can't figure out how to post direct link images from the apps. Anyone have a clue? Thx. Terribly frustrating to those who try to help the community by posting pictures to go with their how-to text. I remember when Google changed software and they said they would migrate all my blogs over to their new platform and at first blush it looked like they did. Only every blog that had a title with a "?" in it was lost. Flickr is not for pics sharing, its a gallery. Imgur is. However more and more corporate are blocking the imgur domain and their subs so expect sites like pelican to do the same eventually - if imgur does not review their security op procedures anytime soon anyway. Can't see them surviving for too long given the internet tightening recently. Good thing PB makes uploaders accountable for their data content now is all I have positive to say. Browser Highjack/scripts anyone?! Although pretty crap to see a few threads and posts being wiped out completely from this though - not sure what went wrong in their heads, and 400$? So what's a viable option then? I don't want to have to go onto a desktop computer to upload pic links. There must be an app that can do the same thing as PB without the $400/year charge, no? I actually think the Pelican BBS / Forum Software should allow photo hosting, like some of the other forums do. This would make everything self contained. They allow you to upload photos on NEW posts, but when you reply to a post, you can't upload, but instead must use a link to a hosted photo? That doesn't make sense to me. ^ Keep in mind that most of those services does not strip at binary level when encoding/decoding, E.g. cheap engines. So expect them all to be slapped in the face just like PB - possibly, not sure about the real "internal" story, but can imagine. Google has some pretty nice services. I have a few cloud instances running with one being dedicated just for 'my' data (packet level inspected and firewalled to the bones). Not much for picture sharing however, but quite useful to get data centralized (I have a lot of it and plan on adding during my next 'living 100 years). That is the best and permanent option that works for me. Can encrypt using your own scheme, can migrate and export those VMs, good enclosures and hardware, logical and physical security included. Few bucks/month??? you'd be silly not too. They allow you to upload photos on NEW posts, but when you reply to a post, you can't upload, but instead must use a link to a hosted photo? That doesn't make sense to me. Click the Go Advanced button when replying and that Upload pic thingy should show up. Duh! Thank you very much for that!!! I guess you can disregard my previous post, lol. Thanks... I'm not very tech savvy, so we'll see. I guess I'll need to pay for a hosting service. I use Smugmug. Their target audience is professional photographers, so the site is set up to publish photos. Their prices are extremely reasonable. Nah, pic shows as a big red X "ERROR: Image Can't Display"
From what I have found from using free sites like Imgur is that the photos no longer show after a certain amount of time. So, this may not be a permanent solution especially for those wanting images to last 'forever' for future enthusiasts to be able to use. Our image uploader should ensure photos stay active in threads as they should. As far as older threads that no longer have images, we're enabling the editing of posts for one week from today, if you need more time after that please let us know and we can get you access. What's wrong with leaving it permanently enabled?